For Available Emergency Sales and Service Please Contact Us. Special Pricing on Hood and Duct Cleaning, Fire Extinguisher Service, Cleaning, Kitchen Fire Suppression for Tornado Disaster. If you need emergency service in the way of the fire department, police, or medical emergency, call 911. If you have been written up by the Fire Marshal and you have an fire extinguisher emergency need for service call us at (205) 588 -0800. The Fire Marshal usually allows 3 days to have repairs made, fire extinguishers recharged, or a fire extinguisher hung on a wall with the proper bracket or hanger. Special Discount for Tornado Disaster. But, for kitchen fire suppression systems that are discharged in restaurants and other kitchens, the fire marshal usually will not allow the business owner and staff to continue use the appliances to cook as long as the system is discharged. This can be an emergency situation in regards to business earnings. Every hour that a fire suppression system is down, the business is usually losing money. 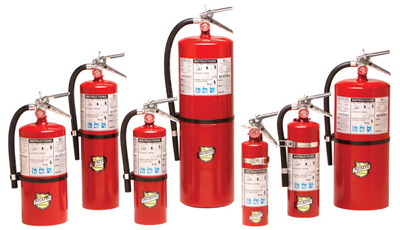 If you have a Fire Extinguisher & Safety emergency, we have fire extinguisher emergency service available usually 24 hours a day and 7 days a week. Call us first if you have a fire protection emergency.